ROSEE - Workshop at Beaders Best in Hamburg! A new original ring and bracelet design with SuperDuos or Twin beads, Rivoli crystals and, fire polished beads. A quick and versatile rivoli bezelling technique. The elements can be finished as rings, small pendants, or connected into a bracelet. A few seats still available for my workshops at the 3rd Beaders Best Art fair in Hamburg, 23/08/2013. HALDA - Workshop at Beaders Best in Hamburg! 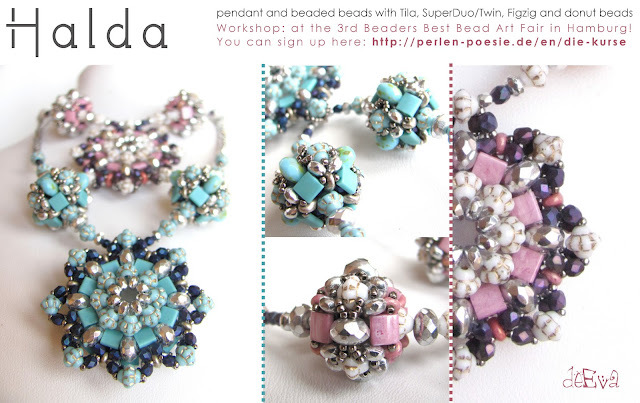 A new original pendant and beaded bead design with Tila beads, SuperDuos or Twin beads, Figzig pressed beads, firepolished donuts. Are you bored of the "flat round and round" designs? Then this 3D pendant and the matching beaded beads are just for you! A few seats still available for my workshops at the 3rd Beaders Best Art fair in Hamburg, 25/08/2013. 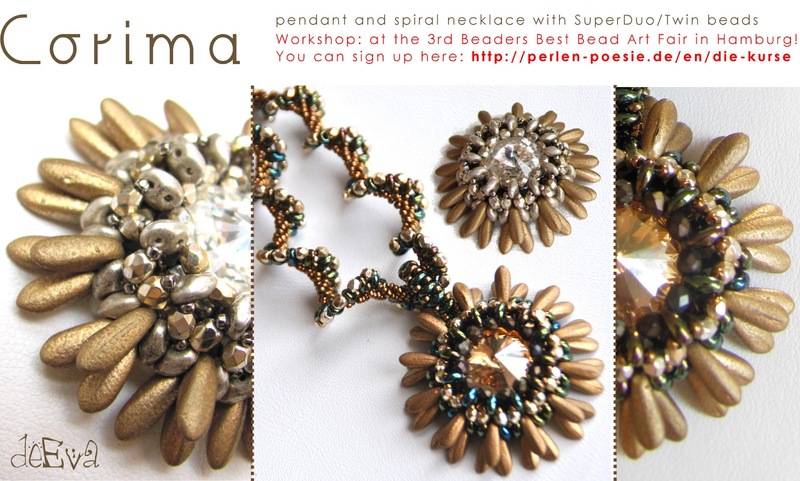 CORIMA - Workshop at Beaders Best in Hamburg! 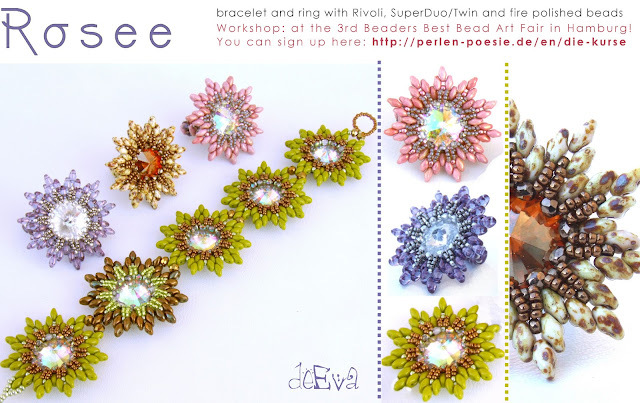 A new original spiral design with SuperDuos or Twin beads, and a new way for bezelling rivolis with 2 hole beads. A few seats still available for my workshops at the 3rd Beaders Best Art fair in Hamburg, 24/08/2013.